CAITLYN Jenner wants her children to be "proud" of her. The 65-year-old former Olympian - who was known as Bruce Jenner before her transition - is documenting her life in 'I Am Cait' and a new trailer for the reality series shows her breaking down in tears as she discusses the impact the changes she has made has on her family. She said: "I want them to be proud of their daddy." Another scene in the trailer showed Caitlyn - who has kids Casey and Burt with first wife Chrystie Scott, sons Brandon and Brody with second spouse Linda Thompson and daughters Kylie and Kendall, and stepkids Kim, Khloe, Kourtney and Rob Kardashian with third wife Kris Jenner - meeting with transgender youth. She advised the group: "Hang out with the people that love you and respect you." The youngsters then circled Caitlyn for a group hug and she said proudly: "We're all beautiful!" The trailer ends with Caitlyn showing Kim an elegant black dress inside her walk-in wardrobe - only to learn her ex-wife Kris Jenner has the same one. She told Kim: "Love this dress." However, her stepdaughter replied: "Mom has that." 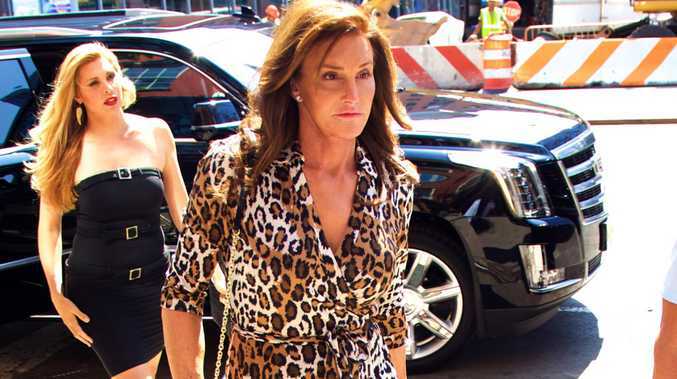 'I Am Cait' launches on E! on July 26.